【360 DEGREE ROTATION】 Features a sleek design with a detachable cup that rotates 360 degrees, It can be fitted on handlebar,under seat,down tube,fork,front pipe. allows vertical or horizontal mounting to the stroller. The stroller accessory is very light and holds liquids securely, avoids spills and keeps your hands. 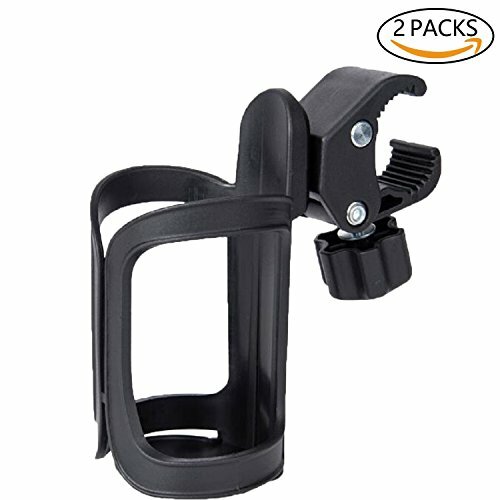 【MULTIPURPOSE】The perfect stroller accessory fit for most baby stroller, mountain bike, bicycle, wheelchairs as well. Designed to fit most baby bottles, coffee cups and water bottles. 【PURPOSE】 Designed to keep the cup secure and safe from spills. If you have any questions about this product by XK-Life, contact us by completing and submitting the form below. If you are looking for a specif part number, please include it with your message.